At Click Return, we are constantly looking for ways that we can improve the working lives of our customers, developing time-efficient processes of completing tasks so their teams can get on with running the business. Routemaster Hire used to have a process of gaining customer feedback (a vital part of their industry when it comes to customers booking with them) which was long-winded, time-consuming and often over-looked due to other, more urgent matters. We were able to suggest a much more efficient, user-friendly system which would not impact quite so much on the team. We created a new system where Routemaster Hire added the customer’s name, date they used the company, details of what they had – bus trip around London/wedding bus hire etc. The Mailchimp system then automatically sends the customer an email asking them “How did we do?” The customer will not be aware that the email has been automatically generated as it is personalised to them and would include their name, the occasion, where and when they used their services. There is a simple feedback form on the email which the customer fills out which creates a Google Review, encouraging potential future customers make a decision about using the company based on another person’s experience. Once the feedback is sent back, a member of the team is made aware and they can then allocate it to a category, add an image etc. before uploading it to the testimonials page of the website. Once live, each testimonial is then automatically added to the company’s Facebook page, creating regular new content, with very little work actually needed to be done by the team. 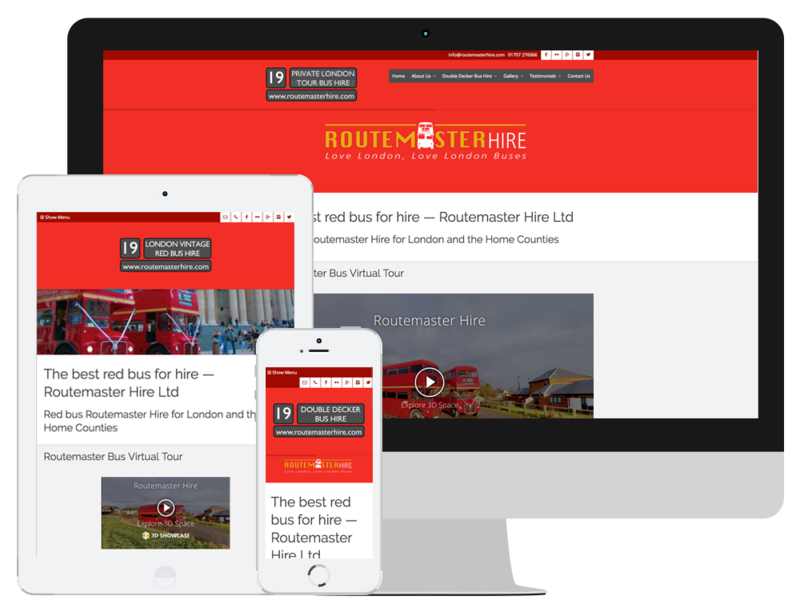 Take a look at the Routemaster Hire website.